The Sonorasaurus grazed in treetops. 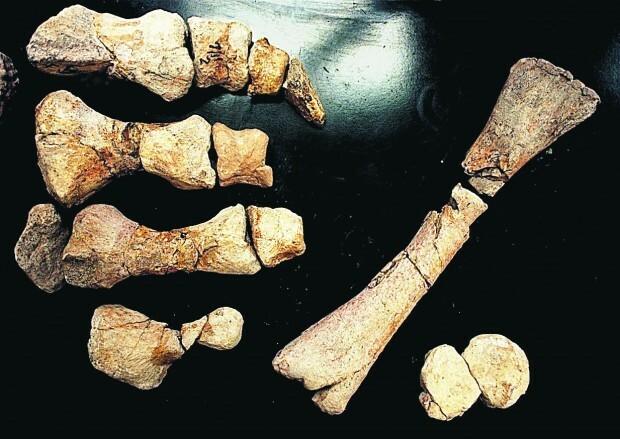 These toe bones, measuring about foot each, are part of the dinosaur unearthed by Ron Ratkevich and his team in Sonoita. Did you know Arizona has a state dinosaur named the Sonorasaurus? If the hybrid dinosaurs of Jurassic World have you freaked out, take a step into the Cretaceous period. On Saturday, it's Dino Night at the Arizona-Sonora Desert Museum. As part of the museum's Cool Summer Nights series, you can learn more about the Sonorasaurus, Arizona's official state dinosaur. 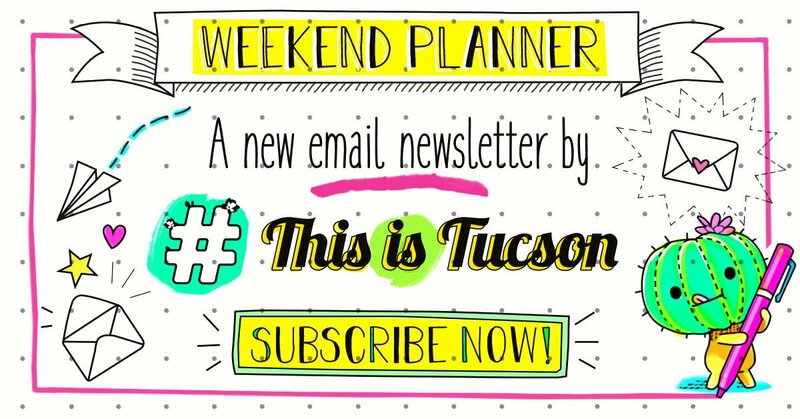 And by its name, you can probably guess that when this dino roamed the earth, it called Southern Arizona home. The Sonorasaurus is a newly adopted member of Arizona's collection of symbols (think saguaro bloom for state flower and bolo tie for state neckwear), thanks largely to a Scottsdale boy who advocated for SB 1517 to give Sonorasaurus some official love. The desert museum actually pushed to have Sonorasaurus named state dino about 20 years ago, when another Arizona kid proposed giving that prestigious title to Dilophosaurus. The claws came out, and in the end neither dino became Arizona royalty. But this April, Gov. Doug Ducey signed a bill to make Sonorasaurus official. You can meet Sonorasaurus boy-hero Jax Weldon at the museum Saturday night, along with State Sen. Steve Farley and Richard Thompson, one of two amateur fossil hunters who discovered the dino skeleton. Thompson and Gordon Nelson discovered the fossils in 1994 in the Whestone Mountains northeast of Sonoita while looking for petrified wood, according to the desert museum. Thompson, now a computer programming instructor at the University of Arizona, describes himself as childhood dino fan whose love of the prehistoric creatures was rekindled when he read "Jurassic Park" in 1992. Finding Sonorasaurus "nearly gave me a heart attack, because there was a lot of it exposed," he writes in an email. The discovery prompted contact with Ron Ratkevitch, a paleontologist at the desert museum. After desert museum staff and volunteers excavated the site, it was determined that this was likely whole new species of brachiosaur. And get this, before the discovery of Sonorasaurus, paleontologists thought sauropods in North America had already gone extinct by the Middle Cretaceous period, when our pal lived. In the words of Jurassic Park skeptic Ian Malcolm: "Life finds a way." This particular dinosaur was probably young and not fully grown and lived in the Middle Cretaceous period when Tucson looked more like a forest than a desert. Although not all of its bones were recovered, it was likely about 55 feet long and 25 feet tall. Imagine Littlefoot, but almost all grown up. Its official name, Sonorasaurus thompsoni, references the location of discovery (Sonoran Desert) and the discoverer (Richard Thompson). Although the actual Sonorasaurus bones aren't out on display at the museum, you can see a replica of them embedded in sandstone and kids can dig for replicas and the area right outside the cave. "It's really cool because we are actually the only place that has fossils of the Sonorasaurus," says Kat Rumbley, the marketing and group sales manager for the desert museum. SOURCES: Arizona-Sonora Desert Museum and Arizona Daily Star archives. When: Saturday, June 30. Activities begin at 5 p.m. The museum closes at 10 p.m.
Where: Arizona-Sonora Desert Museum, 2021 N. Kinney Road. Cost: $21.95 for general admission. $8.95 for kids 3 to 12. Free for kids under 3. $16.95 for Arizona residents with ID.